After realizing they had many of the same friends on the online platform, Joachim reached out to Loggins-Hull. It turned out they lived blocks away from each other and after their first meeting of the minds, Flutronix was born. 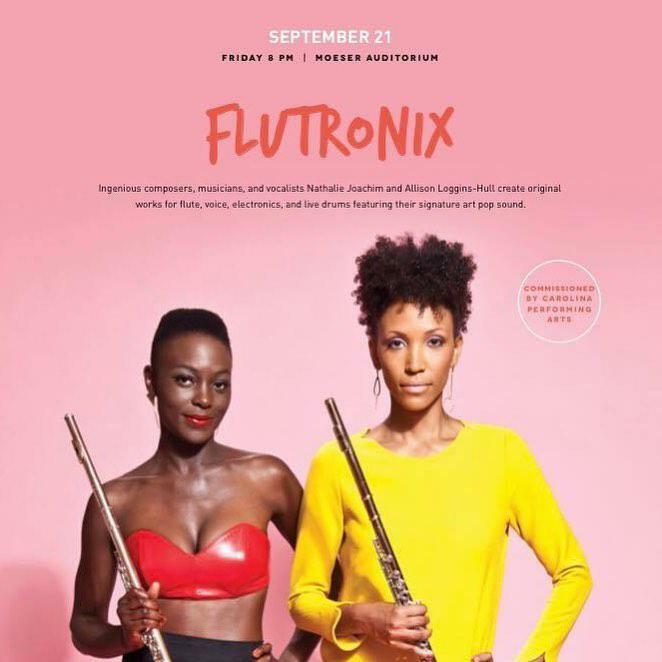 These classically trained flutists infuse hip-hop, electronic and neo-soul style vocals for a genre of their own. Joachim and Loggins-Hull join host Frank Sasio to talk about their new project “Discourse.” Born out of their frustration and confusion surrounding the current political and social climate, “Discourse” merges music, archival footage and stories from the community for a full-length stage performance. 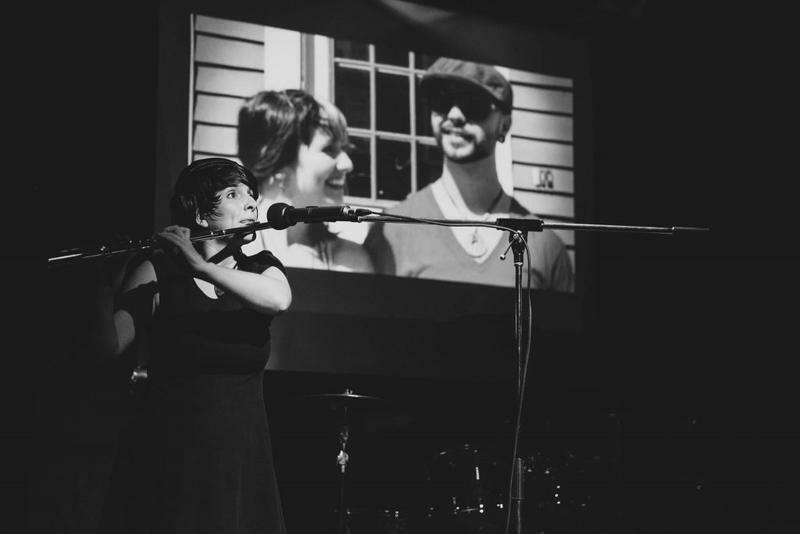 Joachim and Loggins-Hull will talk about their research in the community of Chapel Hill, their two year residency at Carolina Performing Arts and their live performance Friday at 8 p.m. on the campus of the University of North Carolina at Chapel at Moeser Auditorium in Hill Hall. It’s funny. A lot of people say I was basically born in the Juilliard lobby because I started going to their prep programs when I was 10 years old. So almost all of my musical training happened there. Prior to that, I had really been self taught for the most part. When I became 15 years old, it really occurred to me that this is the thing that I really love to do. And I was like: You know what I’m going to really try to go for this thing and figure out what this is all about. So at that point I started taking private lessons. I just walked on over to her house and we spent the afternoon in her living room just talking to each other about our lives, our paths up to that point with music and where we were. And I think we were both finding that we had lived these parallel lives and they were just intersecting at precisely the right moment. It was like a fairy tale. Renowned flutist Julius Baker was in town and 11-year-old Mimi Stillman got to meet him. Then he asked the question every orchestral musician wants to hear: do you know any Mozart? Of course she knew Mozart. Though Stillman had only been playing flute for a couple of years, she managed to impress one of the best and was launched into the spotlight and eventually had a full-fledged career as a solo flutist.